Whether you are considering an education with Vancouver School of Theology or have already been accepted, this page has information that will help you settle into your new life as a student in Canada! Read on to find out about opening a bank account, acquiring a social insurance number, finding a place to live and more. As you may know, Vancouver School of Theology sits on the beautiful campus of the University of British Columbia. UBC accepts a number of international students each year, and they have a wealth of useful information on their website: https://students.ubc.ca/international-student-guide Topics covered include: health insurance, immigration, taxes and more. It’s worth a read. International students are an important part of the community at VST. Students come from many different regions of the world and bring with them their unique perspectives. This diversity offers valuable insights both inside and outside of the classroom and greatly enhances the VST community. Applicants who do not have Canadian citizenship or landed immigrant status in Canada will require certain documentation such as a Study Permit before beginning a program of study in Canada. These documents must normally be obtained from a Canadian consular office outside Canada. If the student is a resident of the United States, Saint-Pierre et Miquelon or Greenland, they may apply for their Study Permit at the Port of Entry into Canada, as long as all their documents are in order. Students should contact the Canadian Embassy or Consulate nearest their residence about admission to Canada. This contact should be made as early as possible, as the time needed to process a visa can vary depending on the visa office. Contact Citizenship and Immigration Canada at 1-888-242-2100 (within Canada only). All students from outside Canada must give evidence at the Canadian border that they have been admitted to the School as students and that they have adequate means of financial support without being employed while they are in Canada. The list of acceptable documentation and level of assets required is available here from Citizenship and Immigration Canada. A regulation of the Canada Border Services Agency states that household goods and motor vehicles are subject to customs control while a student is studying in Canada. This policy may necessitate the payment of a refundable deposit. Students applying for student visas should make additional inquiries from Canada Border Services. International students may apply for medical insurance under the BC Medical Services Plan as soon as they arrive in British Columbia. They will need to provide copies of their admissions and visa documents. Medical coverage will begin three months from the date of arrival in BC as long as students apply as soon as they arrive. International students should arrange for private medical insurance for travelers for the first three months of their stay in BC. For a Medical Services Plan application, visit the BC Medical Services Plan Registration Website. The AMS Health and Dental Plan required for all VST students is in addition to, not a substitute for, the basic MSP coverage. There are many choices of accommodation available in Vancouver. While it might be true that renting a place is challenging in Vancouver, knowing where to get the right information would help you in find a great place to live while you complete your studies! Here are some locations that are relatively easy for commuting and are connected by Sky Train and buses to and from the city of Vancouver. Downtown Vancouver: (including the West End) This is one of the more expensive areas to live. Located in the middle of the urban business district, this area hosts a number of cultural landmarks like the Vancouver Art Gallery, and lots of cultural events. The West End is also full of hotels, high rises, restaurants, office towers and more. If you want to be where the action is, this is the place for you. South Vancouver: From here there is easy access to VST and some houses will still have a view of the mountains. If you look at Kerrisdale or Marpole you’ll find it less expensive, a little quieter, but still with amenities like shops, restaurants and community centres. Richmond: Well connected by the Canada Line Sky Train, as well as buses which take you to both the city of Vancouver and VST. East Vancouver: Although this area has traditionally been the least expensive in Vancouver, this is no longer absolutely true as apartment buildings and homes are upgraded constantly. In this area you’ll find the famous Commercial Drive with restaurants of many different cultures. West Vancouver / North Shore: Can be less expensive than the city of Vancouver but you need to take the SeaBus (a passenger ferry) to get across the water, or a bus to go over the Lions Gate Bridge. Burnaby & New Westminster: More affordable than Vancouver but requires a lengthy commute by bus. Surrey & Delta & Langley: Around 1.5 hours to 2 hours journey each way to VST by train and buses. Share a bedroom with someone else. This is the cheapest option for a single student. Normally a shared room in a shared house costs between $450 – 700 CAD/month depending on location. If you share your bedroom with your friend, then you will only pay half of that price. Many Vancouver homeowners want to rent their spare bedroom in their house for extra income. Normally, a room would cost approx. $750 CAD/month depending on location. Since it is a shared house/apartment, it means you will share the kitchen, living room, and bathroom with other people living in the house. Bachelor/Studio suite is a small room that combines bathroom, bedroom, and kitchen into a single room. There is no separation between your kitchen and bedroom. It usually costs approx. $1000 CAD/month depending on location. Many Vancouver homes have basements that have been transformed into suites. Often there are two bedrooms in the basement suite, which then can be shared with other people. Since the suite is located in the basement, normally it does not get much natural light as it only has small windows. A one bedroom basement suite costs approx. $1200 CAD/month depending on location. A two bedroom basement suite costs approx. $1500 – $1750 CAD/month. There are many high-rise apartments located in Vancouver’s downtown. They are typically more expensive than any other types of accommodation as they offer many facilities such as a gym, swimming pool, concierge and more. Apartments could cost between $1600 – $7000 CAD/month depending on location and amenities. How do I Find a Place? There are a number of websites that advertise places to live. Some of them are listed here, but please do your due diligence when selecting a place. VST is not endorsing any of these sites by listing them here. 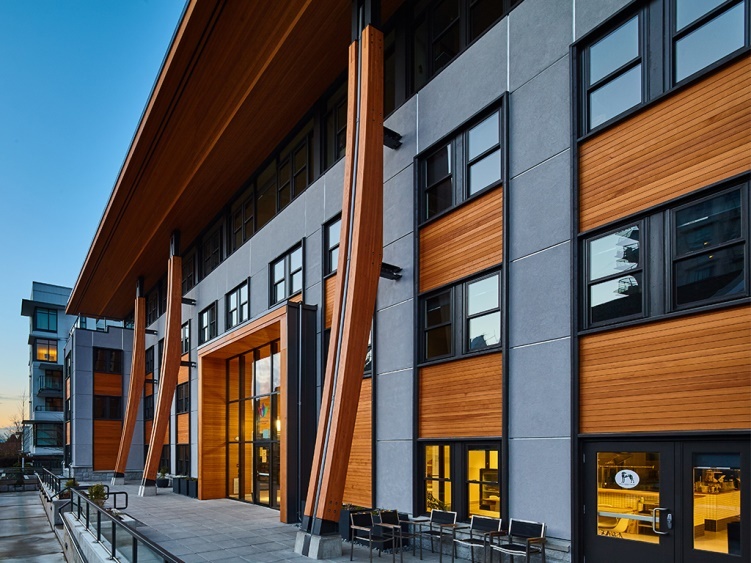 http://www.uvrentsline.com/ – This is the official UBC off-campus housing site for students, faculty, staff and the general public. Please note that this site does not include UBC student residence housing, which is generally not open to non-UBC students. Facebook Groups, such as “For Rent Vancouver” has over 31,000 members or “Rent a Home-Vancouver” has over 4,000 members. There are lots of home-owners who list their places to rent on these Facebook pages. These listings generally include pictures of the rental units posted by the owners, and you can directly chat with the owners through Facebook Messenger. As a full time VST student, you are permitted by the Canadian government to work up to 20 hours/week during the school terms and full time (40 hours/week) in the school’s holiday period. As a student, you are also able to bring your spouse (and children) to be with you in Canada. Not only that, your spouse can work here in Canada full-time as s/he will be eligible for an Open-Work Permit. Currently the minimum wage in Vancouver is $12.65/hour CAD. There are many part-time jobs available for international students with or without any work experience. Alternatively, you could also join a Facebook group dedicated to connecting employers and employees at “JOBS VANCOUVER BC” which has over 25,000 members. Usually, someone will post a ‘hiring information’ message which directly connects you to the manager/HR through Facebook messenger. Working part-time in Vancouver is not as difficult as some people think, because there are many businesses that are always hiring, such as grocery stores, restaurants, cafes, non-profit organizations. If you have any professional expertise, you can apply and possibly get a job here in Vancouver that relates to your profession. However, your skills must first be recognized and certified by the Government of Canada. Urban Fare, Save on Foods, Walmart, and many others are always hiring new international students to work for them. It’s possible to earn as much as $1000 CAD/month (after tax-deduction) working 20 hours/week at minimum wage, and some employers will pay more than minimum wage. View the Work Permits for Spouses and Common Law Partners Guide from Citizenship and Immigration Canada or contact your nearest Canadian Embassy or Consulate (if outside of Canada) or Citizenship and Immigration Canada at the telephone number listed above once in Canada.